Overall, rent for a Seattle one-bedroom apartment has increased 11.9 percent over the same period last year. 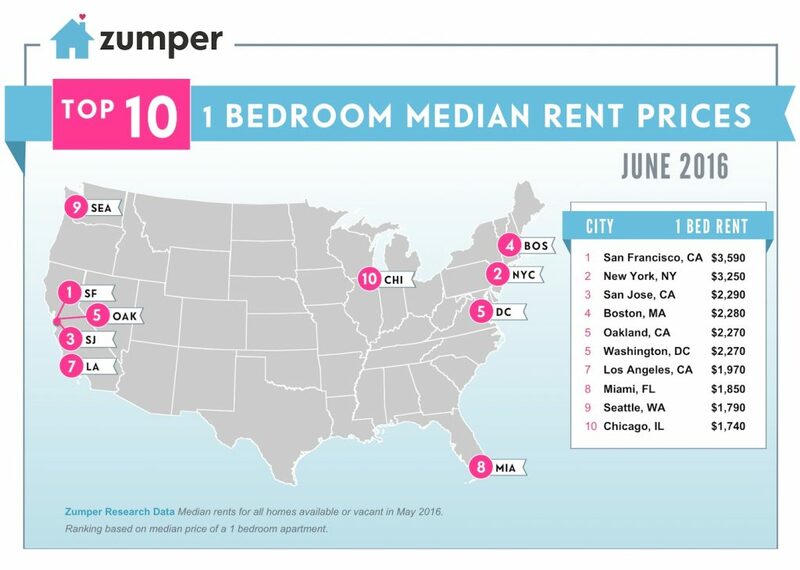 Seattle is holding steady in ninth place on Zumper’s 10 hottest rental markets list, just ahead of Chicago. 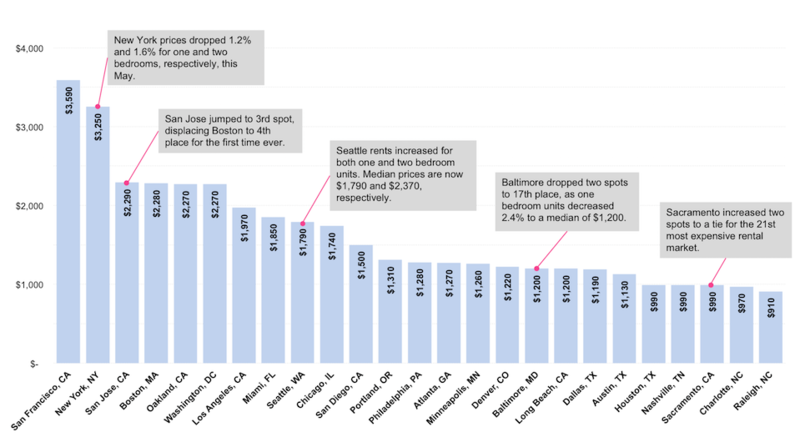 The most expensive rental market remains San Francisco, where one-bedroom apartments are going for a median monthly price of $3,950. If you’ve had enough of these coastal rental prices, head southwest to Tucson, Arizona, where median monthly prices have dropped 1.8 percent and 1.3 percent for one- and two-bedroom units, respectively. The city tied for 47th position with Indianapolis at a median of $550 for a one-bedroom apartment. 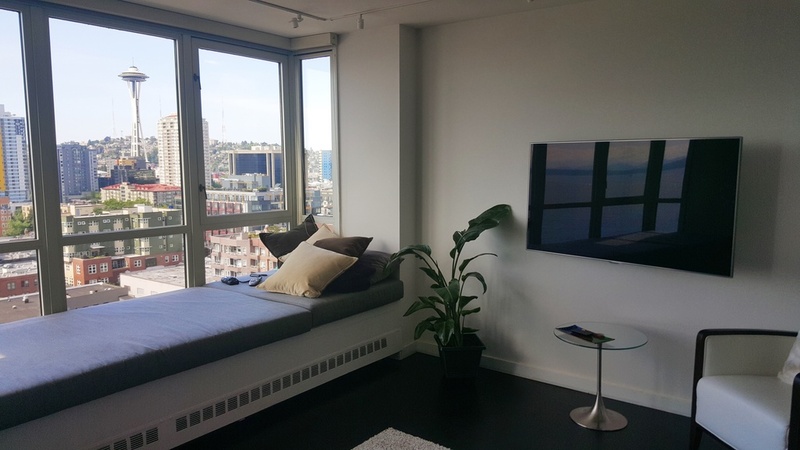 If you’re still dead set on enjoying all the natural beauty, culture and employment the City of Seattle has to offer, here’s what a $1,790 one-bedroom apartment looks like right now. 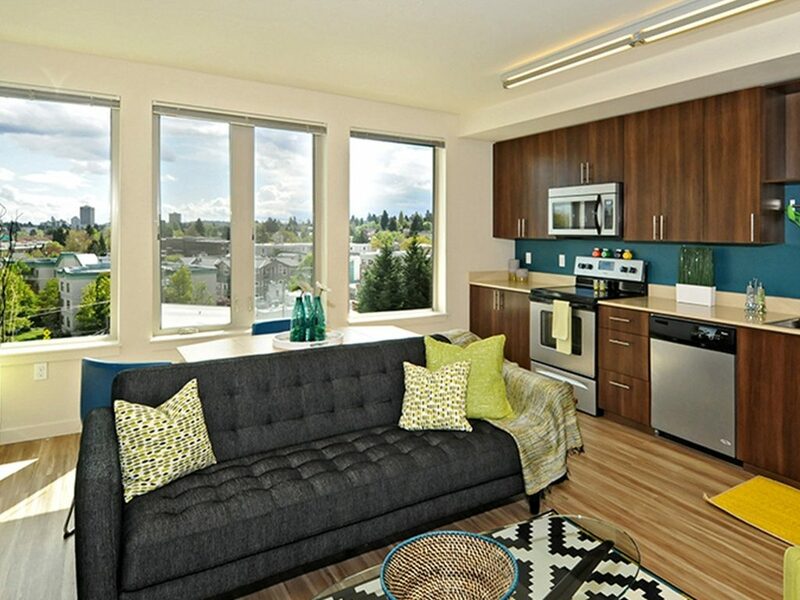 It’s not cheap, but this gorgeous apartment is steps away from Green Lake, coffee shops, bars, restaurants and more. If you’re the outdoorsy type, this apartment has everything you need to feel one with nature. 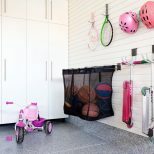 This one doesn’t have much in the way of size (only 512 square feet), but the view is absolutely incredible. Imagine lounging on this window seat every morning with a cup of coffee and a smile. Not too shabby. 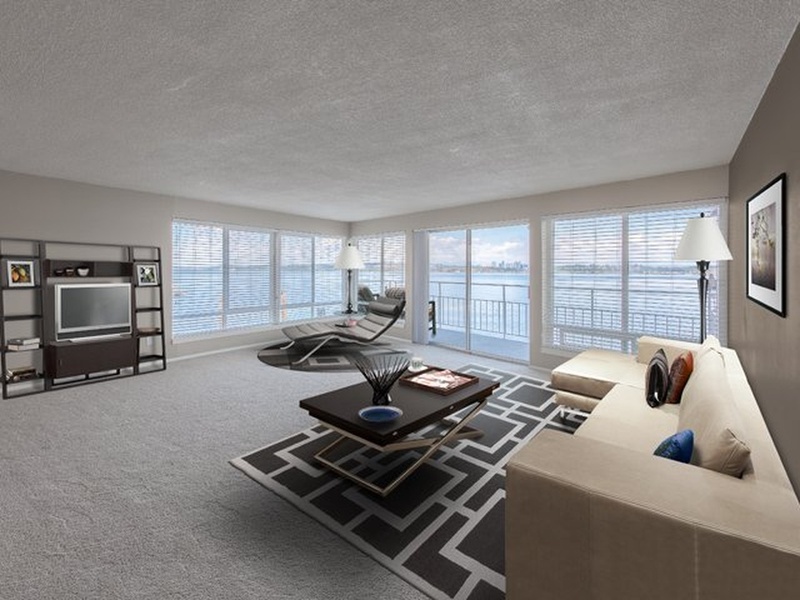 Life on the shores of Lake Washington sounds like a dream if you’re into water and inner peace. This place offers all that and even allows large dogs. Who knows what waves of Seattle newcomers the summer will bring.